When we communicate with you, we may communicate via electronic means, such as e-mail. We strive to ensure that our Commercial Electronic Messages (“CEMs”) are sent with consent, identifying information and unsubscribe mechanisms. We require all CEMs from our Office to be in compliance with Privacy Laws. 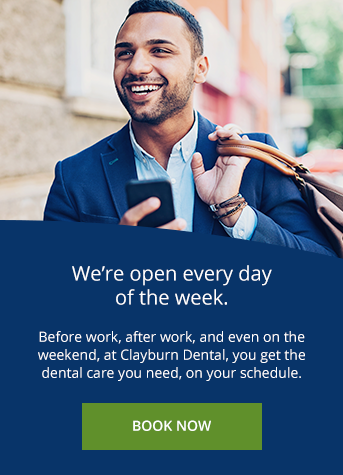 If and when we communicate with you using CEMs, you can opt out of receiving such messages by following the “Unsubscribe” link included at the bottom of such messages or by contacting Clayburn Dental at 604-852-8487. Any questions or concerns with respect to CEMs from our Office may be addressed to Clayburn Dental at 604-852-8487. In the event that our Office inadvertently sends out a CEM without consent, we commit to investigating every such instance and assisting the employee(s) or manager(s) involved with renewing their understanding and awareness of our compliance responsibilities. Office – The dental office operated by Dr. Larry Podolsky Dental Corporation which provides professional dental services comprising of diagnosis, the interpretation of x-ray radiographs produced by the Affiliate, treatment planning and intra-oral professional services at Suite 400 – 3033 Immel Street, Abbotsford, BC V2S 6S2.